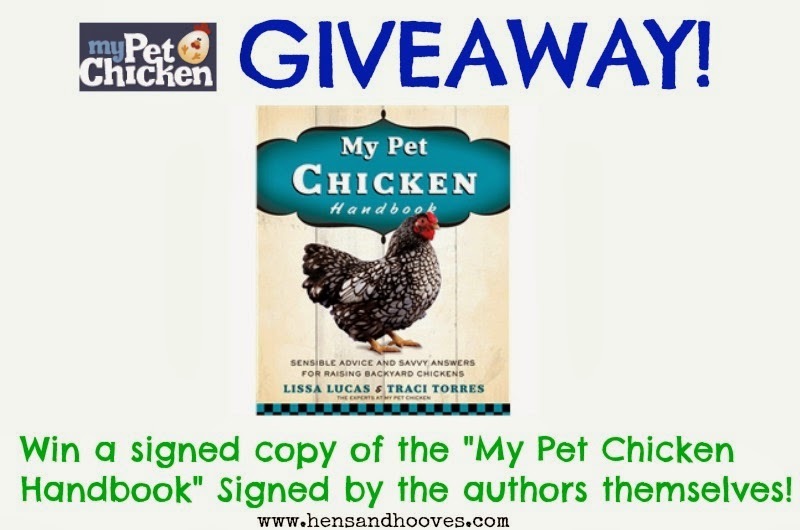 Hens and Hooves: My Pet Chicken Giveaway! So glad to have found this website! omg its amazing to know there are other folks who love chickens as much as I do...they are so cute and loveable...i am not alone! keep up the good work! Howdy! I follow you on instagram! hoping that by posting at 10:30 instead of 12 am or later I'm still eligible to enter the giveaway! I've completed all of the above ^^ Thanks for the opportunity! Lots of wonderful information and wonderful to meet people with the same passion. I love that My Pet Chicken helps to support local communities and strives to better the poultry world!